Bed and Breakfasts around Bassenthwaite in the Lake District. Bassenthwaite village and the lake lie is close to Keswick and the majestic Skiddaw. 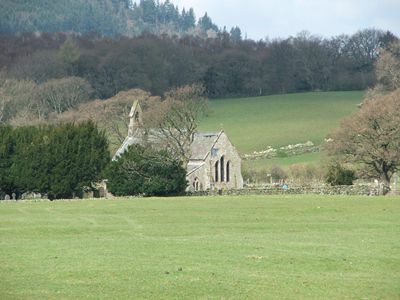 The area around Bassenthwaite provides a good range of bed and breakfast holiday accommodation. Please browse the selection of B&B holiday properties below. Click the links for more details on individual guest houses. Alternatively browse the nearby areas for other B&B accommodation. Nearby towns and villages include Keswick and Cockermouth. Bassenthwaite Hall Farm B&B offers high quality guest house accommodation in the village of Bassenthwaite, close to Skiddaw and Keswick. This 17th century farmhouse B&B is close to the local Inn. For more information on Bassenthwaite Hall Farmhouse B&B please click the button to the left. Bassenthwaite - home to array of wildlife, including Ospreys. If you own a Holiday Property near Bassenthwaite in The Lake District why not contact us to see how we can help promote your Holiday Accommodation.